Byers stated: “Beyond that, let’s concentrate on teaching critical thinking. A little bit of that would go a long way. Let’s make sure that we reverse things in four years – demographics will be on our side.” Some of Byers colleagues reportedly expressed issues with manipulating search results so blatantly and offered alternative solutions, one engineer named Uri Dekel admitted that he was a Clinton supporter but still did not agree with manually altering search results. “Thinking that Breitbart, Drudge, etc. are not ‘legitimate news sources’ is contrary to the beliefs of a major portion of our user base is partially what got us to this mess. MSNBC is not more legit than Drudge just because Rachel Maddow may be more educated / less deplorable / closer to our views, than, say Sean Hannity,” Dekel wrote. Dekel further stated that despite being a Hillary supporter, the media went easy on the Democratic candidate which hurt her election chances in the end: “I follow a lot of right wing folks on social networks you could tell something was brewing. We laughed off Drudge’s Instant Polls and all that stuff, but in the end, people go to those sources because they believe that the media doesn’t do it’s job. I’m a Hillary supporter and let’s admit it, the media avoided dealing with the hard questions and issues, which didn’t pay off. By ranking ‘legitimacy’ you’ll just introduce more conspiracy theories,” Dekel stated. This chain of emails discussing the practice of suppressing certain websites does add credence to previous claims that Google manipulated search results for Hillary Clinton during the 2016 presidential election, a topic that Breitbart News has covered extensively. 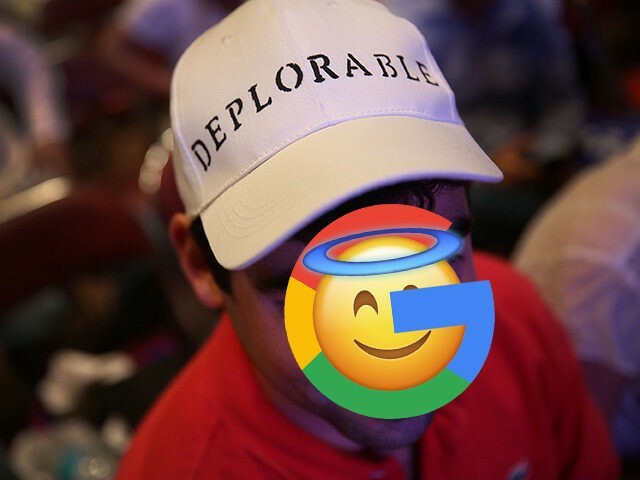 A report from Dr. Robert Epstein published in 2016 showed that Google appeared to favor positive autocomplete search results relating to Hillary Clinton during the 2016 election, even when search terms critical of Clinton were actually more popular at the time. Epstein’s report revealed that Google manipulated search results related to Hillary Clinton during the 2016 election that had the potential to “shift as many as 3 million votes” according to Epstein. President Trump himself speculated in September that Google and Facebook are working to affect election outcomes. When asked if he felt that there was a possibility social media companies may influence elections, the President stated: “I think they already have. I mean the true interference in the last election was that — if you look at all, virtually all of those companies are super liberal companies in favor of Hillary Clinton,” he added. President Trump continued to state: “Maybe I did a better job because I’m good with the Twitter and I’m good at social media, but the truth is they were all on Hillary Clinton’s side, and if you look at what was going on with Facebook and with Google and all of it, they were very much on her side.” Google has been linked to Hillary Clinton on multiple occasions in the past, Breitbart News summarized the politician’s connection to the tech giant here.